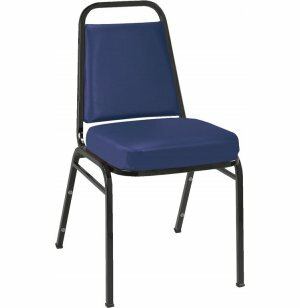 No matter what your seating needs, this multi-purpose vinyl upholstered stacking chair can be the answer. Seats are upholstered with durable vinyl. Basic Padded Stacking chairs from KFI can be used in a myriad of situations. Whether you need extra banquet seating, chairs for an indoor concert or extra seats for your sanctuary, they will get the job done right. Padded seats with your choice of upholstery ensure that guests, congregants or students can sit comfortably in any situation. A durable frame made from square steel tubing offers excellent support. It has a rear-leg bar and glides, as well as a spacious hand grip for easy moving. Side stack bars let you stack chairs 10 to 12 high for easy transport and storage. Bumpers help prevent scratches so your stacking chairs will maintain a sleek look for the long term. Low Maintenance: Chair is upholstered in vinyl which is easy to clean and maintain. Thick Padding: Attractive boxed-style seat is 2”-thick. Versatile Design: This multi-purpose chair is designed to satisfy all of your practical seating needs. 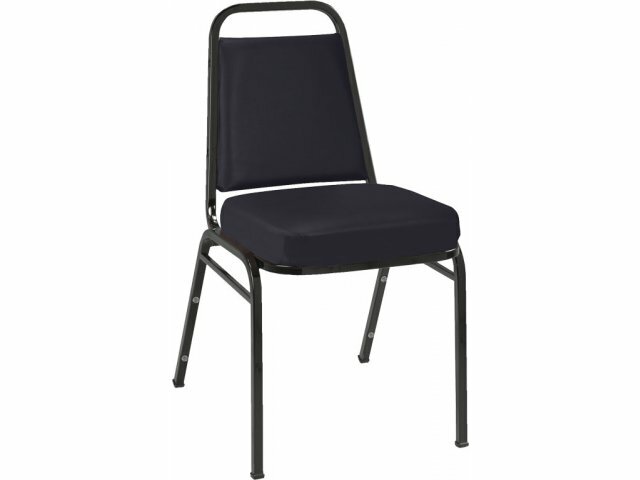 Durable Material: Sturdy frame is constructed from 18-gauge steel, 13/16"-square tubing. Resists Damage: Stacking bumpers prevent scratches on the chair frame. Space Saver: Side stacking bars enable you to stack chairs 10 to 12 high. Convenient: A hand grip makes moving and storage much easier.